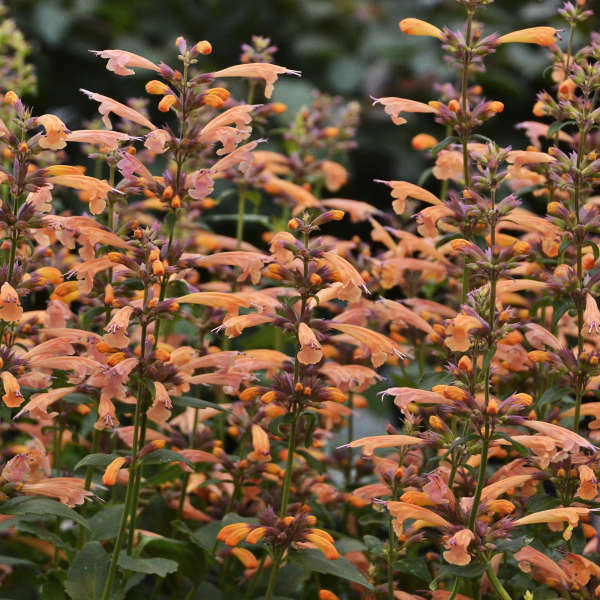 Agastache 'Mango Tango' PP28747 | Walters Gardens, Inc. 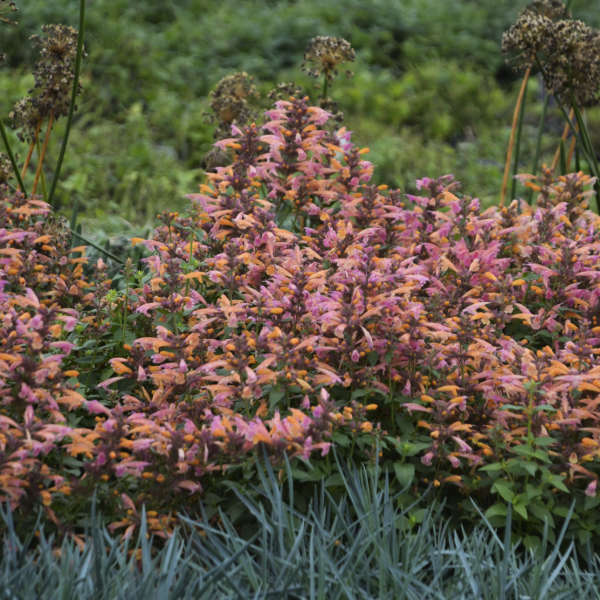 Selected for its shorter habit, ‘Mango Tango’ will also impress you with its vibrant flower color. 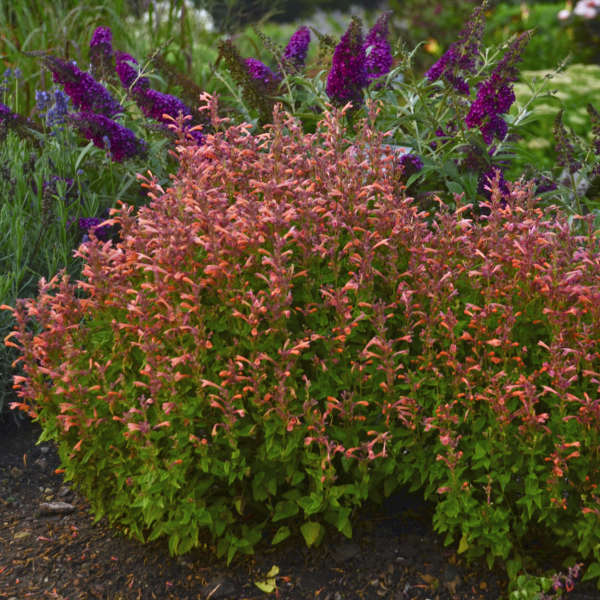 Individual flowers have dusky rose calyxes and light peach to dusky orange flowers, giving this plant an overall red-orange color. 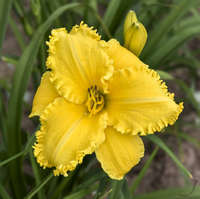 Flowers cover the top ¾ of the plant. 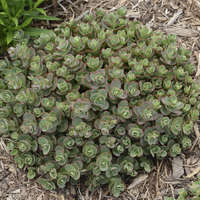 This compact plant has aromatic, medium green foliage. 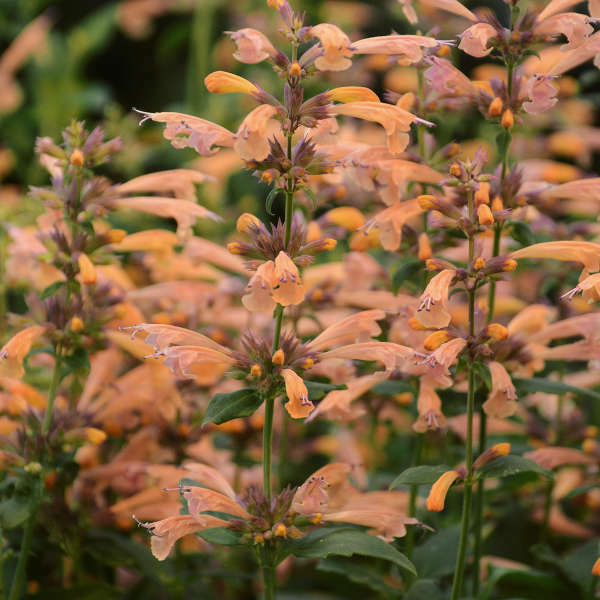 This is one of the easiest perennials to grow; it is drought tolerant, deer resistant, and attracts butterflies and hummingbirds like crazy. 75-100 ppm N constant liquid feed. 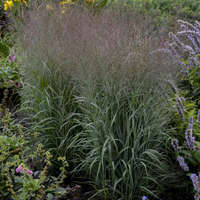 Too much fertilization will result in lanky plants. Powdery mildew, downy mildew, leaf spots, rust, viruses, crown rot, root rot, downy mildew. Scout for Aphids, Spider Mites, and Thrips. Plant in a well drained soiless media. Moderate. Provide consistent moisture, do not over water. Crown should be planted even with soil line. Pinching is beneficial to promote lateral branching. 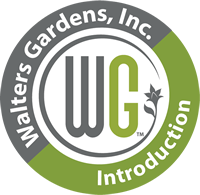 PGR's can be beneficial in controling plant size but may require multiple applications. daminozide (B-Nine, Dazide) at 2,500-5,000 ppm, daminozide at 2,500-5,000 ppm + chlormequat chloride (Cycocel) at 1,000-1,500 ppm, paclobutrazol (Bonzi) at 30-60 ppm, or uniconazole (Concise, Sumagic) at 5-10 ppm. 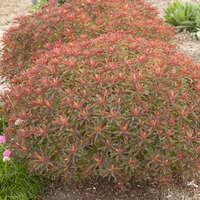 Plants can be trimmed back slightly after flowering to promote additional color.